The path of trading success requires the aspiring and seasoned trader to leave no stone un-turned to enhance ones trading edge. Yes having a high probability system is a must. However, what is frequently ignored by many is the environment in which you call your trading home. I explored the options of enhancing my trading environment with a Smart Desk. What makes these Desks smart is your ability to raise your desk up and down to your eye level. At that position you’re standing and frequently moving and I found these significant benefits and some draw-downs worth mentioning. 1-Blood flow: you are constantly moving and your blood circulation is at a high level. This will lead to more blood and oxygen and nutrients shuttling to your brain. We Traders need every brain cell to work at optimal levels. So this is definitely a win for the Smart Desk. 3-Posture: Standing at eye level to your trading screen has the benefit of reducing neck and eye strain as you select the height that fits you. Also, Reduce tension on your wrist and chances of carpal tunnel syndrome. 4-Sitting Disease: The term “Sitting Disease” has been coined by the scientific community and is commonly used when referring to metabolic syndrome and the ill-effects of an overly sedentary lifestyle. 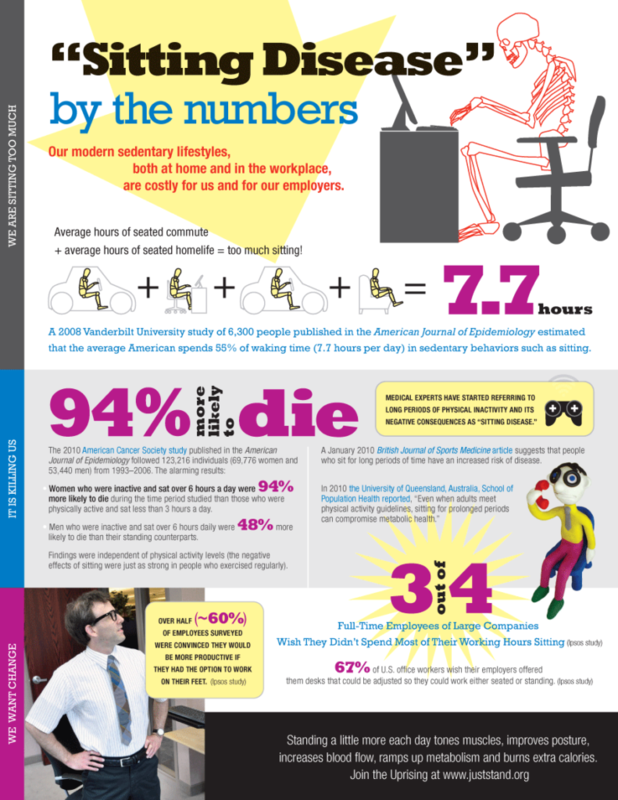 A 2008 Vanderbilt study of 6,300 people published in the American Journal of Epidemiology estimated that the average American spends 55% of waking time (7.7 hours per day) in a sedentary behavior such as sitting. This Behavior Leads to obesity, increased blood pressure, high blood sugar, abnormal cholesterol levels, back and neck problems and many more health concerns. You owe yourself a healthier body and mind. Leg fatigue and strain. It’s natural to assume that standing and using your legs will get them working harder than you are accustomed to. For every 50 minutes standing I take 10 minute break and sit down to take the pressure off. I also, invested in a anti-Fatigue Standing Mat and that helps reduce tension. 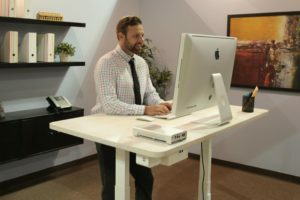 A decent smart desk will run you between $300 to $1400 depending on the features and the load capacity. Yes it does cost more to stand and work. Finally, I feel I added an edge to my trading and work day by incorporating a Smart desk to my environment. I am moving and thinking much quicker and loving the extra energy. I will use that extra energy and focus and push my trading career further and higher. Trading is a game of inches. Winning is measured by that extra push you give yourself. That push came today with the smart desk. Wish you all Health, Wealth and Happiness and success in all you do.